One of the most pressing questions that many women have is, how do I lose arm fat? They have this ‘jiggle’ right underneath their arms that just won’t seem to budge, regardless of what they try. For women, the underarm is a place where the body does tend to store fat, along with the lower abs, the thighs, and the hips, so it’s normal to see this being a major problem zone that you want to tone. Fortunately, with the right approach to your diet and your workout program, you can quickly learn how to lose arm fat and attain the body that you’re dreaming of. Many women will attack this goal full speed ahead but unfortunately use the wrong approach while doing so, which proves to be incredibly disappointing for them. If you’re going to work hard in the gym to shed the fat under your arms, you want to be sure that hard work is going to pay off. Let’s take a look at everything that you need to know. The very first thing that you should be doing to lose arm fat is make sure you’re eating a protein rich diet. Protein is the one nutrient that will actually speed up your metabolism, allowing you to burn more calories all day long. Since losing arm fat does come down to you losing body fat overall, you must sustain a calorie deficit to do this. If you can increase how many calories you burn over a 24 hour period while decreasing your food intake, you are right on track to see superior results. The best lean protein sources to choose from include chicken breasts, egg whites, fish, lean red meat, low-fat dairy products, and whey protein powder. Eat these with each snack or meal that you consume. The second important thing to note when trying to shed fat off your arms, is to make sure that you’re doing arm-intensive cardio activity. Many women are quick to go hop on the treadmill or bike, but these machines aren’t really doing much to work the upper body. While they will burn calories and that is still vital in the total fat loss equation, if you can do cardio that will also stimulate the arm muscles, you’ll be that much better off. Instead, switch over and use the elliptical, perform skipping (which is a fantastic calorie burner as well) or use a rowing machine. All of these will work both the upper and lower body, so will get you better results overall. The next thing that you must be sure is in place if you want to shed fat off your arms is to make sure you’re weight training. No other exercise is going to boost your metabolism like weight training will and better yet, when you perform weight training then when you finally do lose the fat, you’ll have great muscle tone and definition to show off. But here’s the catch. If you’re going to do weight training, you need to lift heavy. The biggest mistake many women make when trying to tone their arm muscles is using two to five pound dumbbells. You’re much stronger than that so push yourself. The heavier the weight you can use while keeping good form, the more toning benefits and metabolic boosting effects that exercise is going to have. Don’t be afraid of getting big and bulky – heavy weights won’t do that because you don’t have the hormonal profile to develop that degree of muscle mass. Heavy weights will however make you look ten times better and actually get you muscle definition you can see. So bump it up a bit; you won’t regret it. Some of the top arm fat exercises to perform include bent over triceps extensions, overhead triceps extensions, close grip bench press, and triceps rope push-downs. Aim to include at least two of these with each workout you do. So there you have it – all the information you need to know about how to lose arm fat. If you can follow this advice you can have great looking arms that will look fantastic in a sleeveless shirt. Will ‘fat burning supplements’ help burn arm fat quickly? Most ‘fat burners’ contain stimulants including caffeine. 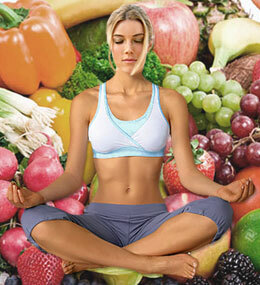 If you take the diet pills as directed, they can boost your metabolism and caloric expenditure. The downfall for all ‘fat burning supplements’ is while they may help you burn off arm fat more quickly, the drug properties of caffeine (usually in its herbal form, guarana) usually cause you to reverse your fat loss and gain back what was lost while on the pills after cessation. Learn about the best exercises for the muscles in the arms as well as the science behind them and watch videos. If you want to know how to lose arm fat, these exercises are a must. Learn the scientific fats about toning versus bulking and much more. 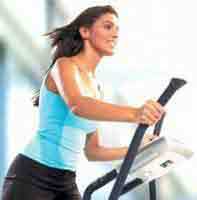 When it comes to arm toning exercises for women, it should be first understood that toning refers to increasing muscle.